Linos brings you another great product, the Boker Kalashnikov Kydex neck carry sheath. This model features a cool skull graphic. 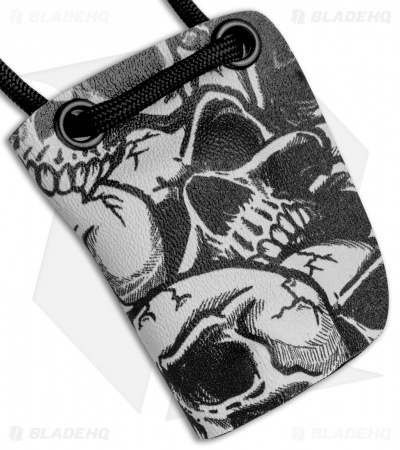 Each one of these sheaths is hand fit and securely holds your knife for quick deployment. 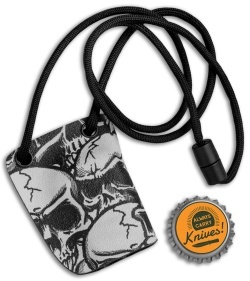 Includes black paracord neck tie.The sheath will fit all Boker KALS with flush buttons (KALS74 and KALS75 series). Handmade in the USA. 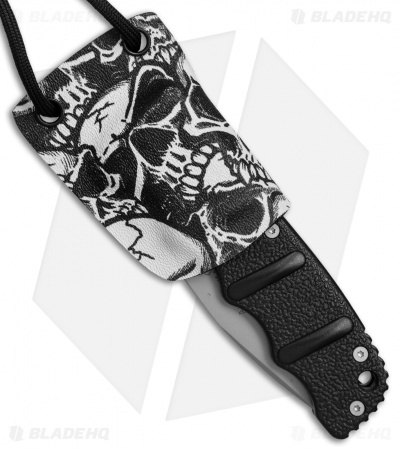 This listing is for the Kydex sheath only. Because these are hand made, each sheath will vary slightly. Click HERE to see the Boker Kalashnikov knives in stock. Nothing to complain about here other than the fact that this should come standard with any knife. The breakaway lanyard has more resistance than the lock up of the kydex which is the perfect function for this setup. The kydex is very snappy and solid....it's also the only way i can figure to make the already safe kalashnikov even safer regarding accidental deployment, it just won't happen with this sheath. I wonder if the belt ready kydex sheath is more practical, but for me i don't ever wear a belt so this was perfect.